When you are dealing with a great deal of pain in your ankle after some sort of accident or injury, the chances are good that you have a fracture. 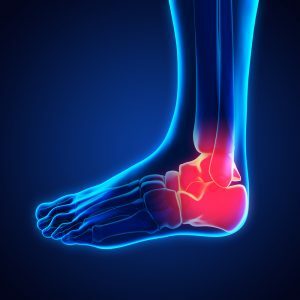 A fracture of your ankle is another term for a broken ankle, which could mean that you have at least one or more bone that is in your ankle that has been compromised. In this case, you need to deal with professionals for proper broken ankle treatment and surgery in Mukilteo. Fractured ankles can actually range from a mild break in just one bone, which may not stop you from being able to walk. There could also be multiple fractures, which would end up forcing your ankle to be out of place and needing you to be able to stay off of it for quite some time. The more bones that end up broken in your ankle, the more unstable it will become. Depending on the circumstances of your injury and the accident that took place, you could also have some torn ligaments and other damage in your ankle that need to be addressed. However, the team at Mill Creek Foot and Ankle Clinic will be ready, willing and able to give you a full examination and go through all of the necessary testing to make sure that you are able to get the treatment that you need. Call Mill Creek Foot and Ankle Clinic at (425)482-6663 for broken ankle treatment and surgery in Mukilteo to learn about complications and pain management. We will be happy to set you up with an initial consultation and can start in right away on the appropriate testing to hopefully get you on the mend as soon as possible.